Home Blog Coach Hardy is back in Bali this week! Coach Hardy is back in Bali this week and has given us the lowdown on what he has been up to in Australia over the summer. Check below as he talks Bali, coaching success’s, Reeflex and predictions for bodyboarding in 2017! Hanging out in Margs with my family, bit of bodyboard coaching, shooting when the waves have been pumping, driving the odd winery tour and working for my bro Gene along the coast with school groups…keeping busy! What do you enjoy most about Bali? Epic climate, warm water and probably more than anything waking up to glassy waves in the morning near on every single day and there is always a wave! I also like the Balinese people and laid back pace of life. Where’s your favourite place to surf in Bali? 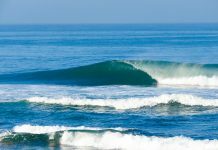 Probably Canggu, Gangga and a few of the lesser known reefs we frequent on balibodyboarding tour days on the east coast. What are you looking forward to most about the camps? Chasing fun waves and filming/surfing with like minded amped bodyboarders and helping them realise their potential! It is SO rewarding!! It’s by far my favourite thing about coaching to amp up, inspire and teach talented young riders to believe in themselves, get the most out of all conditions and go as far as they possibly can in bodyboarding! What’s your favourite Reeflex combo for Bali? I’d say my favourite combo would be plain wetty shorts before the sun comes up, then throw on the long sleeve rashy after mid morning. I do like the comfort and grip of a zipperless spring suit when the ‘cold’ currents come up after July. What kind of stuff can we look forward to from Reeflex in 2017? New Team riders going ham, epic sessions from the Team pushing themselves both in competition and free surfing. New styles of suits hitting around April with a few new technical additions to enhance the flexibility and lightness of our wetsuits. Predictions for bodyboarding in 2017? A few epic contests will go down in solid waves! I feel there is a pretty good vibe around the sport right now globally and this will increase participation from the next generation worldwide and current participants will be amped as always and continue seeking out the passion that has always driven them in life! What world tour events are you going to do this year? I imagine I will be spending most of the tour year in Bali dedicating my time to the Camps and surfing/shooting around Indo then I will hopefully be heading to Europe again towards the end of the year for the Nazare and Fronton events. I had a really sick time doing those events and travelling to Portugal and the Canary Islands last year. Tough one, such a mix of contenders right now from the veterans like Hubbard, Moz through to PLC, Iain and some of the youngsters like Tanner and Tristan Roberts are right up there now with their ability, experience and confidence… Then you’ve got guys like Diego Cabrerea and Jerry who will be coming back on tour, fired up as ever…it’s going to be epic to watch and I’m amped to get in there amongst it at some stage! Previous articleWe speak to Mez, the man behind NMD and VS bodyboards!